A C ARUN CHARITABLE TRUST is located in TIRUVANNAMALAI Tamil Nadu . A C ARUN CHARITABLE TRUST is registered as a Trust at VELLORE of state Tamil Nadu with Ngo unique registration ID 'TN/2011/0043994' . 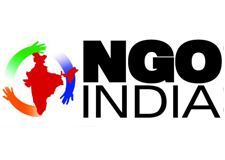 The NGO registration is done by Sub-Registrar with registration number 1620/2007 on the date of 04-06-2007, Its parent ORganaisation is PaulFoundation. The Chairman of A C ARUN CHARITABLE TRUST is S SOUNDER RAJAN and Chief functionary officer is A C ARUN. Since its inception it is creating awareness about consumer, cancer, women rights, TB, and environment. It is also participating in PPI and organising world AIDS day observance. It is involving in climate change mitigation activities and planting tree seedlings with the help of school children in its project villages.